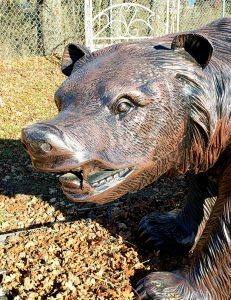 Our Wolf Statues and yard art are made of cast aluminum, which means there’s no need to worry about bringing your statue indoors during harsher winters; your wolf garden statue is environmentally green, rustproof and will never rot. The cast aluminum is very thick and very strong! 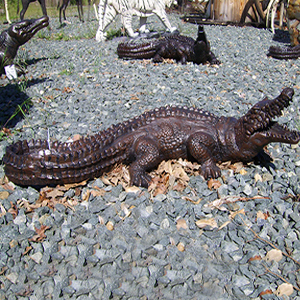 Your Recycled Cast Aluminum Wolf Statue and Yard Art will be a treasure to last a lifetime. 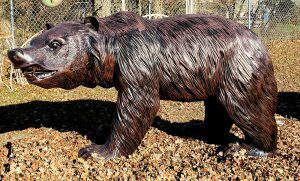 Our wolf statues and garden decor are perfect for commercial indoor and outdoor gardens, home garden and yard decor, theme park, golf course ornaments, childrens play areas, museum displays, school displays or outdoor garden animal themed events. 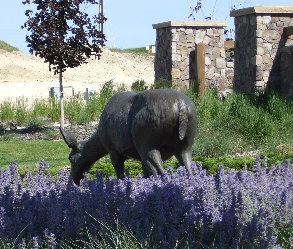 Standing tall, curious and majestic, our realistic Wolf Garden Statue and Sculpture adds wildlife to your home and garden décor indoors and outdoors; it might just make you look twice! 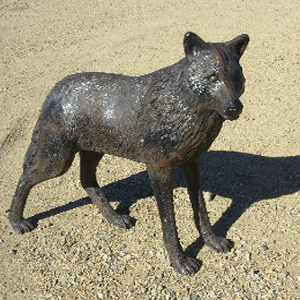 The beauty of this striking wolf sculpture is in the detail and is 33″ tall. Can you visualize this standing wolf in the yard alert and looking for supper. 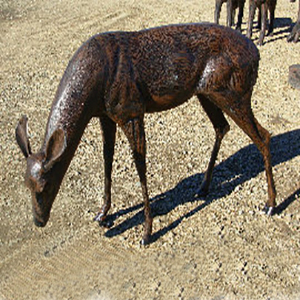 Contact us TODAY on this amazing wolf yard art and mention code 7PMB13 to receive special pricing.